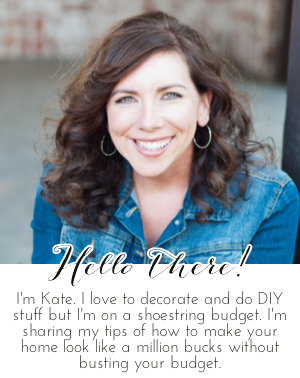 Chic on a Shoestring Decorating: Flaunt it Friday 179! Hey there! Can you believe it's time for another Flaunt it Friday already?! To kick it off I had my first ever pumpkin pie martini. 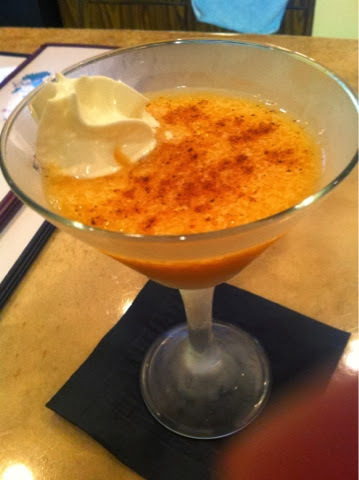 Yes, pumpkin pie martini and it was delicious! The restaurant used all homemade ingredients (except they didn't make the vodka) and it made for a yummy desert-ish drink. Hi Kate. I think this is my first time 'attending' your party. I'm sure I'll have a great time. Thanks for hosting! Very smooth, seasonal elixir, my friend! Thanks so much for hosting and have a happy weekend! You share with us this great photo and idea and no recipe????? How could you? Are you still on ask.com. I need to run over there to ask you a question. Hi Kate, that pumpkin pie martini looks delish! Thanks for hosting another great party this week. Thanks for hosting. Always so many great finds and ideas!